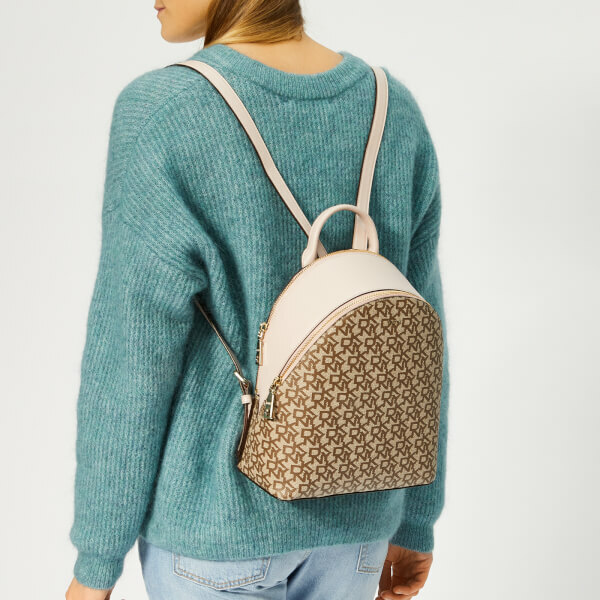 Dual-compartment 'Bryant Park' backpack from DKNY in monogram-print faux leather and contrast blush panels. Accentuated with gold-tone zips that open to reveal the textile-lined interiors and multiple pockets within. Topped with a grab handle and transported via adjustable shoulder straps. Logo-engraved metal feet protect the base. Subtle appliqué branding on the front.